Watching the Republican and Democratic nominating conventions motivates me to step back for some big-picture reflections on the challenges that a next U.S. president must confront. Ultimately my reflections expand to the larger question of how we best think about the leadership challenges currently confronting humanity as a whole. People who are familiar with my work know that I am neither a Republican nor a Democrat. I see the best of conservative thinking and the best of liberal thinking through history each making worthy contributions. Creative Systems Theory provides conceptual support for this conclusion. It describes how traditional conservative and liberal values reflect complementary right-hand and left-hand aspects of larger systemic truths (see Partisan Pettiness: An Abject Failure of Leadership). Those familiar with my work also know that I have a lot of respect for Barack Obama. I see him as the first American president to make a solid effort to lead from a culturally mature place. Recognizing this possibility before Obama was first elected, I warned both my liberal and conservative friends that they would often not be happy with him—which proved accurate. Through his two terms in office, while I’ve often disagreed with him when it comes to policy specifics, I’ve almost always appreciated the depth and complexity of consideration be has brought to his decisions (see Grading Barack Obama). Hillary Clinton’s nomination is historically significant in the fact that she is a woman. But I am not overly impressed with her skills and sophistication as a leader. If she is elected, I would be surprised if she proved to be more that a B or B- president. While the importance of presidential leadership can be overblown, given the challenges we currently face, I would hope for much more. How would debate look different going forward if it were informed by more by culturally mature sensibilities? Culturally mature perspective’s big-picture, long-term vantage supports three observations that take how we understand key issues to a next essential level: First, we do in fact face immense concerns/problems (both in America and as a species). Second, while we have at times made shortsighted decisions, those concerns/problems tend to be less the result of failed leadership than our successes as a species. And third, effectively addressing those concerns/problems—or even just usefully understanding them—will require that we think and act in ways that we are just now beginning to grasp are important, much less make manifest. To illustrate these conclusions, below I’ve briefly addressed four issues touched on in some way by each of the parties: 1) Terrorism—both domestic and international, 2) The Economy—both its health and what is needed if it is to benefit everyone, 3) General Social Well-Being—including debates over gun violence, race relations, and immigration, and 4) The Environment—including climate change and sustainability more generally. With each issue, I will answer the same three questions: How serious is the concern? Whose fault is it? And what needs to be done? With each I will also briefly address how the need for culturally mature perspective fits into what we see. I will conclude these reflections by turning to an issue only hinted at at the party’s conventions but which I think is ultimately the most important—what I call humanity’s larger “crisis of purpose” (see A Story for the Future—Confronting Our Time’s Crisis of Purpose). This more encompassing concern confronts us most directly with the need for Cultural Maturity’s essential “growing up” as a species. I will describe how successfully addressing it will be necessary to effective long-term solutions to each of the other, more specific issues I touch on. (For those new to the concept of Cultural Maturity and the ideas of Creative Systems Theory, taking time to briefly familiarize yourself with them—either now or after taking time with these reflections—will help make the importance of these quick observations more deeply understandable (see Humanity’s Necessary “Growing Up” — the Concept of Cultural Maturity and Creative Systems Theory—Addressing the Challenge of Culturally Mature Conception.). Terrorism. I’ve written extensively about terrorism and what it asks of us (see the post Making Sense of Terrorism: What We Too Often Miss and my most recent book Cultural Maturity: A Guidebook for the Future). How serious is the concern? The threat of terrorism—domestic and international—is very real and will likely only increase in decades ahead. We should see a growing number of terrorist attacks, some perpetrated by organized groups, others by individuals (whether ideologically radicalized or simply using today’s climate of terror to justify their actions). It is very likely that we will experience events even more frightening than what we have encountered thus far—for example, the possible use of a nuclear dirty bomb. That said, it is essential that we keep the threat of terrorism in perspective if we are not to respond in ways that make matters worse. I’ve observed that we are much more likely today to be killed by a driver talking on a cell phone than we are at the hands of a terrorist. This is unlikely to change. Whose fault is it? While terrorism’s consequences can be horrendous, thinking in terms of blame leaves us short of the complexity of understanding needed to effectively address it. I’ve described in my writings how terrorism is a predicted consequence of how globalization is pushing cultures together that reside at different stages in the evolution of culture. New proximity overwhelms and produces reactive responses. And specific cultural stage differences produce felt threats and reactions that can be particularly intense—and also difficult for those from other cultural stages to understand. This situation is nobody’s fault, but responding to it effectively requires new kinds of sophistication. I’ve noted how belief systems in places where modern terrorism tends to have it roots commonly parallel those of the European Middle Ages (an association most easily recognized with parts of the Middle East). As seen from a medieval perspective, the extreme materialism and individualism of the modern post-industrial world appears not just confusing, but evil. And while choosing to be a suicide bomber seems at least deranged if not demonic when viewed through modern eyes, from within a medieval reality both the moral intensity of the response and its selflessness make perfect sense. Bringing this kind of nuance to our thinking is essential to effective policy. What needs to be done? Like it or not, we are probably doing the larger part of what can be done—applying basic security measures at home, and working to preempt terrorist efforts at their sources. There is always room for improvement, but it is also the case that there are limits to what is possible either at home or abroad. Efforts that ignore these limits make circumstances only more dangerous. We can miss the mark—badly—by failing to be appropriately vigilant. But we can miss the mark in ways that are equally damaging by trying to achieve levels of safety that are really not an option. That damage can manifest at home through sacrificing essential freedoms in the name of safety. It can also manifest through unnecessarily inflaming animosities. Poorly thought out actions can increase the likelihood of both home-grown terrorism and acts by potential and existing terrorist factions outside our borders. How does the need for culturally mature perspective fit into what we see? It does so at multiple levels. Culturally mature perspective is needed if we are to avoid polarizing off of people different from ourselves and exacerbating the dangers (see Beyond Chosen People and Evil Others). It is needed, too, if we are to accurately assess risk in situations that involve a complex multiplicity of variables. In addition, culturally mature perspective is necessary if we are to tolerate the fact that, in spite of horrendous circumstance, there are often real limits to what we can do (see Cultural Maturity and Limits). Culturally mature perspective is also directly pertinent to the essential recognition that people who reside in different cultural stages are going to see the world very differently. Creative Systems Theory maps the realities of cultural stages. But culturally mature perspective is needed if the simple fact that culture has developmental chapters is to be grasped deeply (see Developmental/Evolutionary Perspective and Cultural Evolution: Patterning in Time). The Economy. Key issues concern the overall health of the American economy, the effects of globalization, and just who benefits from economic growth. How serious is the concern? As far as the overall health of the economy, the Republicans painted a picture of chaos and collapse. The Democrats pointed out correctly that the U.S. economy is in much better shape than it was eight years ago. But it remains fragile. And not nearly enough has been done to change the house-of-cards circumstances that produced the recent major recession. It is important to note that the economic questions that got the greatest attention at the conventions had to do not with economic growth per se, but with who benefits from it. Are global trade agreements good for everyone? Is the economy rigged to the benefit the top one percent? The polarity that evoked greatest passions at the conventions was “haves versus have-nots” rather than “left versus right.” The campaigns of both Donald Trump and Bernie Sanders were fueled by the anger of those who felt that they had failed to benefit from the economic rewards of recent decades. I think these concerns are very real, and very important. Whose fault is it? Again, in a certain sense, nobody’s. In a capitalist system, those with the most capital tend to prevail. This might seem unfair. But while a capitalist system inherently fails to benefit everyone equally, it comes much closer to providing equal opportunity than preceding systems in which profit derived primarily from royal decree, blood privilege, or military might. That said, it is becoming increasingly clear that the degree of built-in inequality we see today can’t continue to work going forward. Much that is now most dysfunctional in current economic circumstances is a direct product of it. The reason that we lack sufficient safeguards that could make the economy more stable—that could effectively buffer again house-of-cards possibilities—is that such safeguards would be to the disadvantage of those on Wall Street. We craft trade agreements that preferentially benefit big business and the wealthy not because this is how global trade agreements inherently work, but because of who gets to be at the table when crafting such agreements. And we fail to address the effect of money in politics not because doing so is necessarily difficult, but because money in politics tends to benefit those currently in power. Economic realities are changing—and in fundamental ways. During the Industrial Revolution, while there was more actual inequality, it was generally true that economic growth ended up benefitting everyone. Often, today, this has stopped being the case. It is also the case that people are increasingly finding marked degrees of inequality an unhealthy circumstance—and not just unhealthy for individuals, but unhealthy for societies and economies. What needs to be done? With regard to policy, each of the specific concerns just noted are pertinent. We need more substantive regulation to protect against economic instabilities. We need to make trade rules that not only benefit corporations, but also support local traditions and community entrepreneurship (while establishing social structures that help workers transition to new lives when old technologies and outdated practices result in unavoidable disruption). And we need to reevaluate election rules that create a system that is ultimately undemocratic—where one-dollar-one-vote is closer to the reality than one-person-one-vote. But none of these changes can happen in a deep way without more fundamental kinds of changes. The future is challenging us to do more than just reexamine specific economic policies. We need to be rethinking how economies work and just what a healthy economic system should look like. How does the need for culturally mature perspective fit into what we see? Creative Systems Theory describes how capitalism as we know it, while profound in its influence, reflects one particular chapter in culture’s story. The theory also makes clear that there is no reason to assume that this is a last chapter. I don’t see how the changes I’ve just described could be possible without the kind of evolution in values and beliefs that come with culturally mature understanding. While we can as yet barely glimpse what a next chapter in economic thought might look like, a couple of observations provide initial insights. A first helps avoid a possible misconception. Culturally mature perspective doesn’t suggest that economic systems should produce equality—the result advocated by socialist alternatives to capitalism. It views competition has having an essential role. Culturally mature perspective does argue that if we are to go forward effectively, we need competition that starts with equal opportunity. And a recognition at the heart of Cultural Maturity’s new cultural chapter is certainly pertinent. Culturally mature perspective challenges us to rethink the nature of wealth—and ultimately of progress. It emphasizes the importance of defining wealth in more complete ways, ways that better take into account all the various systemic aspects of what makes life rich—not just the monetary, but also our families and bonds in community, our creativity, our relationship to the physical world around us, and much more. When we recognize the importance of such a more mature and encompassing definition of wealth, not just our personal choices, but also how we think about human advancement, changes in fundamental ways (see Redefining Wealth and Progress). General Social Well-Being. The debates over gun violence, race relations, and immigration each in different ways relate to how, as members of a society, we perceive and act toward one another. How serious is the concern? Each of these concerns are serious and warrant our attention. But each, too, needs to be viewed from a larger perspective than is our custom if our actions are to successfully take us forward. The mass shootings that seem more and more often to dominate the news are unquestionably tragic and unacceptable. But it is also the case that while the number of people killed in this kind of mass event has gone up in recent years, over the last twenty years the overall incidence of killings, and crime more generally, has gone down. If our fears are not to do unwarranted damage to the social fabric, it is important that we not lose sight of this larger reality (see The Crisis of Gun Violence: Mature, Big-Picture Perspective). The “black lives matter” movement and related efforts bring important attention to the fact that we have a long way to go in understanding and respecting one another. In particular, recent high-profile incidents involving shootings by police officers alert us to critical work yet to be done. It it essential that we do not hide from this painful reality. But if we are to move forward effectively, it is important, too, to acknowledge how far we have come. I am reminded of Michelle Obama’s comment that in the White House she woke up in a house built by slaves. We have moved beyond Jim Crow and beyond the explicit segregation against which Martin Luther King rallied. If advocacy is to be most powerful, we need to understand it as a further extension of this historical process. Immigration is felt by many people today as a threat. And it legitimately can be. Globalization, in combination with the information revolution, has made borders more permeable and often put traditional jobs in jeopardy. In addition, particular situations, as with Europe in its proximity to large and appropriately desperate migrant populations, present particularly extreme conditions. At the same time, larger perspective helps us avoid responding in ways that ultimately serve no one. In the U.S., we must not forget that immigration has always been a threat—remember the Irish and the Chinese much earlier in our history. We also need to keep in mind how critical, at least historically, diversity has been to America’s strength. Whose fault is it? With each of these concerns, how we think about blame changes when we place the concern in a larger systemic context. The issue of gun violence remains very real and essential to address even when the actual frequency of violent acts is put in perspective. But stepping back helps us better understand our fears. In particular, it clarifies how the level of fear we feel has as much or more to do with how modern media makes each incident a part of our immediate experience as actual danger (see The Evening News: Failure of a Sacred Trust). If we step back even further, we can better make sense of why our attention is so readily drawn to violent acts and why violence’s significance is so easily misinterpreted (see The Radical Importance of New Relationship of Death). Bigotry and intolerance no less warrant deep commitment to change. But with perspective, we better see how needed changes are parts of an ongoing process. We also see that while the overarching responsibility for what we see lies with those who have historically oppressed, needed changes are necessarily a shared responsibility. When police are killed for simply trying to do their jobs, the dual nature of the needed responsibility in our time becomes inescapable. Immigration’s modern challenge often has identifiable culprits—for example, with leaders in places around the world where genocide is endemic. But immigration is a kind of challenge we have needed to confront throughout history. And new factors such as how dramatically globalization alters the sophistication need to address immigration wisely, are for the most part products of progress. When we step back, we recognize that crafting effective immigration policy is less about being sure that the good side wins than finding ways to balance competing goods. What needs to be done? With each of these concerns, there are specific things that must happen. But it is also the case that these specifics depend on larger change processes. For example, each requires that we rise above knee-jerk fears and polarizations. In each case, we face new insecurities. But it is also true that, with each, irrational fears can get in the way of doing what is possible to do. In writing about gun violence, I’ve argued that limiting access to guns, while important, is unlikely to have as much of an effect as people commonly believe. Multiple additional factors, such as poverty and insufficient funding of mental health services, play into the modern prevalence of gun violence. What I see as the most important additional factor requires that we look very big-picture. Gun violence has most ultimately to do with the degree people feel a sense of purpose and potency in their lives. Today, the fact that people often do not combines explosively with how popular media sensationalizes violence and romanticizes it as a solution. With regard to bigotry and intolerance, the task is to take on our time’s necessary next steps toward democracy’s self-proclaimed goal of equal rights and equal opportunities. Some of the work is legal and economic; much is more social. For the immediate issue of policing, we need training that produces greater awareness and greater integration into the communities served. In turn, communities need to be actively engaged in changes that will help officers feel as safe and supported in their work as is reasonably possible. As globalization increases immigration pressures and conflicts around the world generate particularly dire conditions for immigrants, it becomes increasingly important to address immigration concerns consciously, and with a sophisticated understanding of the complexities involved. Good immigration policy starts with leaving behind bigotries so that real benefits can be recognized. Beyond that it is about balance in approach. On the one hand, it is about having compassion for the needs of potential immigrants and about better appreciating how greater diversity has historically had positive consequences. On the other hand, it is about appreciating that the people who have worked hard over time to build society’s have a legitimate say in how further additions to populations should be handled. How does the need for culturally mature perspective fit into what we see? With each of these examples, I’ve emphasized the importance of looking big-picture. More than just this, we need the kind of mature systemic understanding that comes with culturally mature perspective. A maturity of understanding that we are only now becoming capable of is needed if we are to step beyond the projections that produce bigotry and narrow mindedness. Mature systemic perspective is needed, too, if we are to accurately evaluate risk and keep fears in proportion. It is also necessary if we are to bring needed historical perspective to making sense of what steps now need to be taken, and can now effectively be taken. A couple of additional consequences of Cultural Maturity’s changes are worth noting. One is how culturally mature perspective affirms the importance of both the local and the global. Modernity’s heroic trajectory extends us ever outward. With Cultural Maturity’s more integrative sensibilities we simultaneously celebrate the expansive—indeed come to feel like global citizens—and find renewed appreciation for what is particular and special about our unique heritages and locales. Because theses changes are happening in combination with a new ability to appreciate the local without demonizing those different from ourselves, we also become more capable of promoting and defending the local in ways that benefit everyone involved. In addition, there is how culturally mature perspective takes us an important further step with regard to the modern age ideal of equality. It makes that ideal more realizable—helps us make equal opportunity real. But it also adds to this a greater ability to appreciate differences. We see a first step in this regard with the general recognition that a rich mosaic of backgrounds and worldviews can add to our lives. We also see an ability to more deeply discern and tease out differences—this while avoiding the bigotries that came with such purported discernment in times past. Culturally mature perspective helps us appreciate how various people, by virtue of background or temperament, will have very different contributions to make. Just as important, it helps us appreciate how various individuals, by virtue of how far along they are in their personal development, will differ in their ability to engage questions in culturally mature ways. The Environment. Climate change is only one of many pertinent environmental concerns, but it is the most immediately pertinent politically (see Climate Change and Culture’s Big Picture). In evaluating the potential seriousness of global warming, it important to recognize how the dangers go well beyond immediate environmental effects. For example, damage to crops and available water, increased prevalence of disease, and a generally less hospitable planet could greatly increase the potential for conflict. Essential gains toward more culturally mature relationships between nations could be lost, gains that in a world where increasingly deadly weapons are available both to nations and to terrorist groups have become essential to our survival. There are multiple ways in which the results of climate change could be catastrophic. Whose fault is it? Beyond how we’ve so often kept demonstrated dangers at arm’s length, the fact that we confront climate change is, again, nobody’s fault. Human caused global warming is a product of industrial advancement and our great success as a species in populating the planet. But now that we recognize the effect and the potential for great harm, addressing it has become everyone’s responsibility. What needs to be done? Effective action involves doing everything we can to limit carbon emissions. Climate change is giving us no choice but to bring to bear a whole new level of foresight, collective action, and responsibility for the effects of our human presence on the planet. But it is also the case that effectively addressing climate change requires being cognizant of how limits to what can be done can complicate the task. We can’t escape that current carbon levels mean that significant damage has become unavoidable. And while there is growing consensus around the globe about the need to drastically cut back on the use of fossil fuels, the potential negative economic consequences of doing so—at least short term—can be very real. We need to contain temperature rise as much as possible given these limitations. We also need to be giving major attention to mitigating the effects of climate change, both those that are directly weather-related and those that are a product of more general social destabilization. How we engage climate change is also directly pertinent to Cultural Maturity’s realization. On the negative side, climate change could very easily undermine progress already made. If it does, it could be the end of us. It is also the case that climate change could have an almost opposite ultimate significance in relationship to Cultural Maturity. Because it confronts us so inescapably with the need for culturally mature capacities—in particular the ability to acknowledge real limits and to take a more ultimate kind of responsibility for our actions—it could prove historically to be Cultural Maturity’s greatest teacher. A Story for Our Time — Humanity’s Larger Crisis of Purpose. 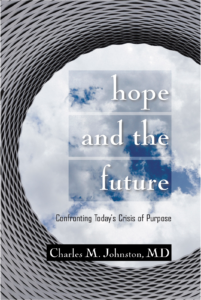 I’ve written extensively about how we face both a crisis of confidence in leadership (see How Changes in What It Means to Lead Are Redefining the Human Task) and a broader cultural crisis of purpose (see Humanities Crisis of Purpose). In the end, the issue with the conventions was not just that they lacked sufficiently sophisticated responses to issues like those touched on here. Neither Donald Trump nor Hillary Clinton succeeded at providing a compelling story for the future, a reason to engage the tasks ahead with needed courage and commitment. The picture Trump provided was based on fear, and the few concrete policies he proposed would take us back—and dangerously so—rather than forward. Hillary Clinton succeeded in hitting notes that would please each of her various possible constituencies, but she failed to articulate an overarching image of what needed new leadership could accomplish and what ultimately it would stand for. The concept of Cultural Maturity proposes that the fears and vulnerabilities that people today experience have to do with something more basic than factors such as globalization, the disruptive effects of new technologies, differences in economic opportunity, and challenges such as climate change that lack ready solutions. More fundamentally they reflect the need to engage a new, more “grown up” chapter in our human story. Any ultimately compelling story for the future must somehow draw on the greater maturity of perspective that new chapter makes possible. 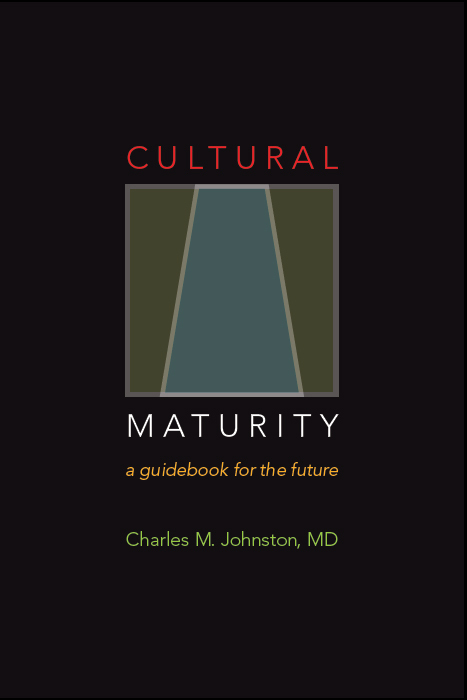 I’ve most directly referenced Cultural Maturity’s more encompassing challenge with my description of how culturally mature perspective challenges require us to rethink not just wealth, but the nature of human advancement. But each of the issues I’ve addressed have also brought attention to culturally mature capacities that will be necessary if we are to address future challenges (see Cultural Maturity’s Defining Themes). Some of those capacities: getting beyond the us-versus-them assumptions of times past (whether in relationships between countries, in how social groups view one another, or with knee-jerk animosities between political parties), appreciating the fact of real limits (both limits to what we can often do and limits to what we can know and predict), learning to think about what matters in more systemically complete ways (as with rethinking wealth—what Creative Systems Theory calls answering the systemic Questions of Referent), and better understanding how events always happen in a context—here particularly in the context of their time in culture’s story. Arguably, not just our future well-being, but our survival, depends on these new human capacities. If this picture is accurate, the fears and vulnerabilities that people often feel today come to make deeper sense. Old ways of thinking are ceasing to serve us. Often we lack the sophistication of perspective needed to effectively frame the challenges we face, much less effectively address them. And all too commonly the response is actions that we might think take us forward, but that in truth only divert us from the tasks at hand (see Transitional Absurdities: How the Ludicrous Can Co-Exist With Hope). We reside in an awkward in-between time, straddling old and new narratives. I don’t think it is a president’s job to articulate a full blown vision of Cultural Maturity. Doing so would not make sense to most people and proposals would often be premature. But it is important that we elect leaders who can demonstrate culturally mature values through their words and their demeanor. And it is important that leaders reflect at least beginning culturally mature capacities in the complexity of perspective that they bring to making decisions and in their ability to articulate complex decisions in straightforward, “new common sense” ways.